The U.S. Department of Labor’s Occupational Safety and Health Administration (OSHA) issued a citation to Brutus Construction Inc. on April 10, 2019, according to an OSHA news report. The company was cited for failure to observe fall protection and other safety hazards at their worksite. Brutus Construction Inc., located in Souderton, Pennsylvania, now faces $181,699 in penalty fines. Employees did roof work at a residential construction site without the use of fall protection. As a result, the company is cited for the willful exposure of employees to safety hazards. Among the hazards is failure to provide fall protection requirements and training. Unfortunately, Brutus Construction Inc. has been cited by OSHA 19 times for such hazards. Brutus Construction Inc. has 15 business days to comply upon receiving the citations and penalties. The company can request a meeting with OSHA’s area director, or contest OSHA’s findings before the Occupational Safety and Health Review Commission. The Occupational Safety and Health Act of 1970 states that employers are responsible for providing safe and healthful workplaces for employees. It is OSHA’s role to ensure that these conditions are provided for America’s working men and women. OSHA holds employers accountable by enforcing standards, and providing training and assistance. Disregard for fall protection requirements and other safety hazards poses potential loss of business for offenders. More importantly, this type of carelessness threatens the lives of employees. When it comes to safety, there is no room for neglecting fall protection requirements or any of OSHA’s safety standards. OSHA-Pros USA has all the resources you need to complete your training online. 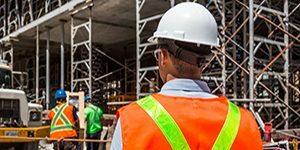 Get started now and find out how you can improve the overall quality and safety of your work environment.